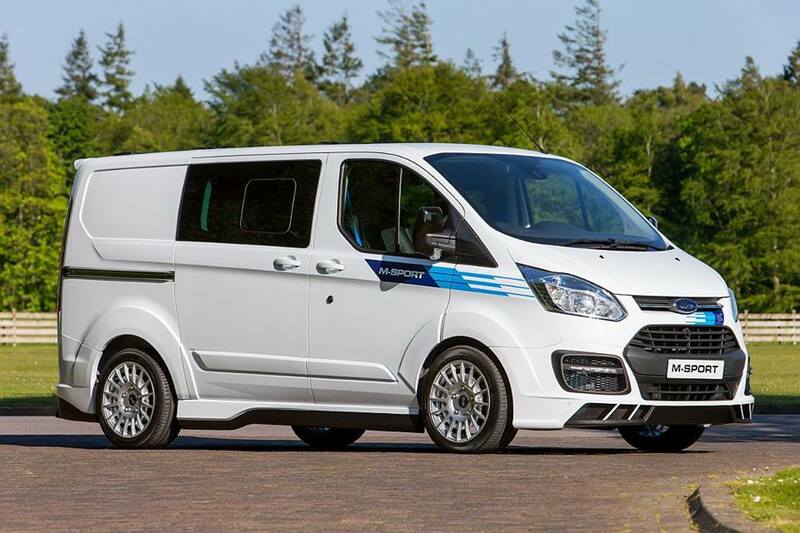 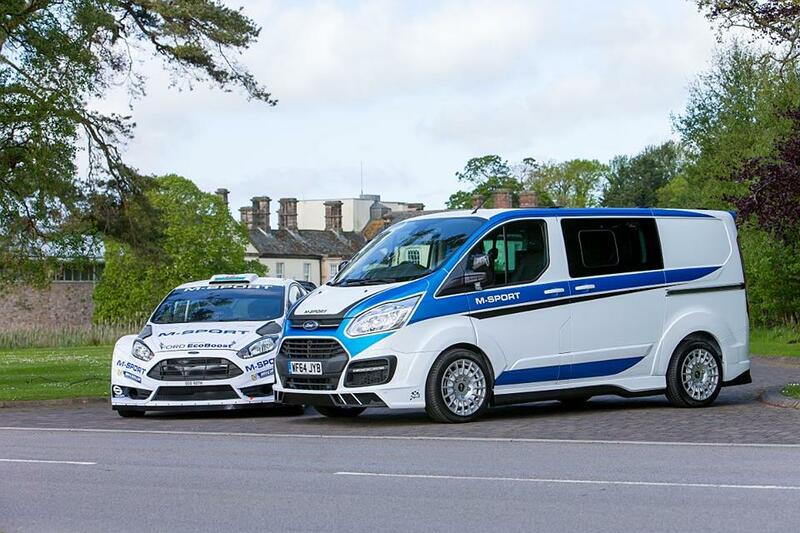 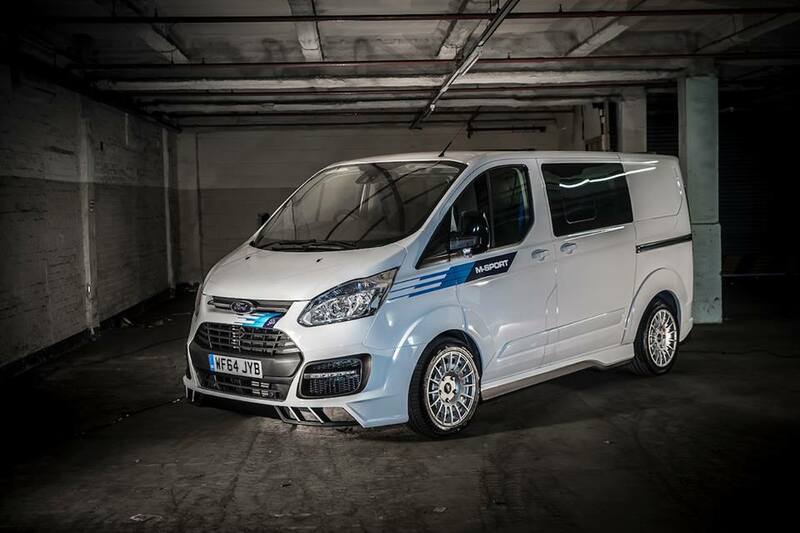 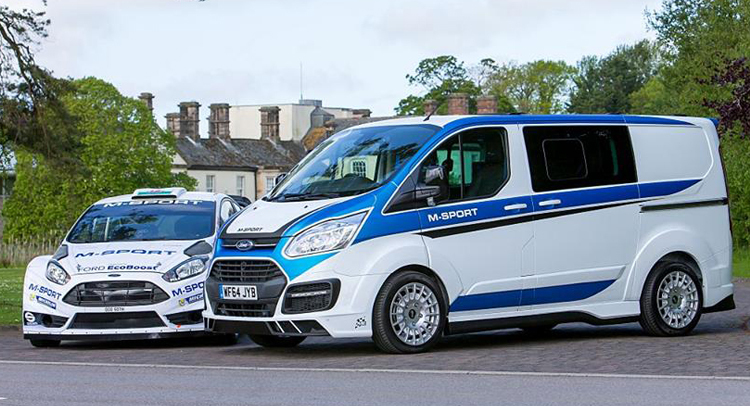 So here’s a Ford Transit inspired by a Ford Fiesta rally car. 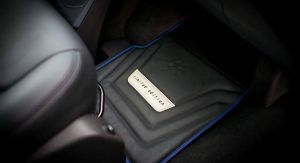 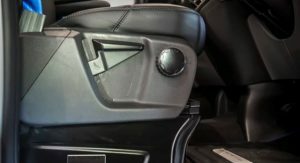 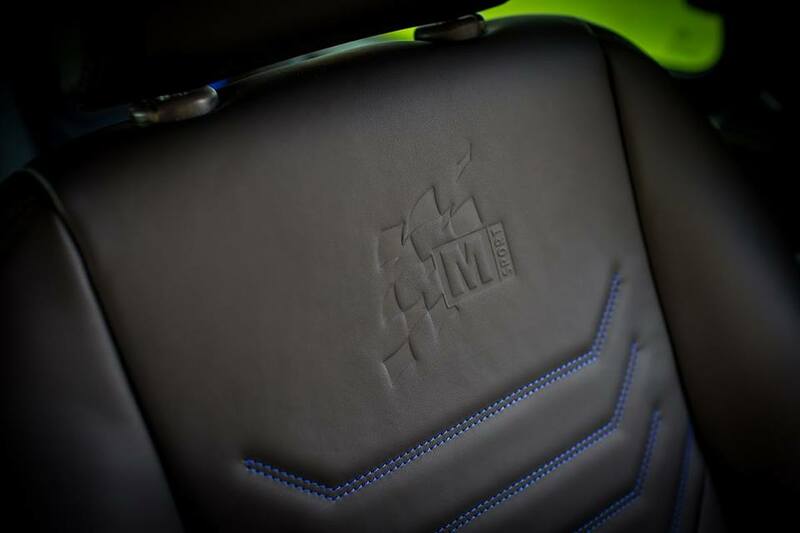 No, it doesn’t come with an anti-lag system, but it does come with a WRC inspired body-kit and hand-crafted leather interior. 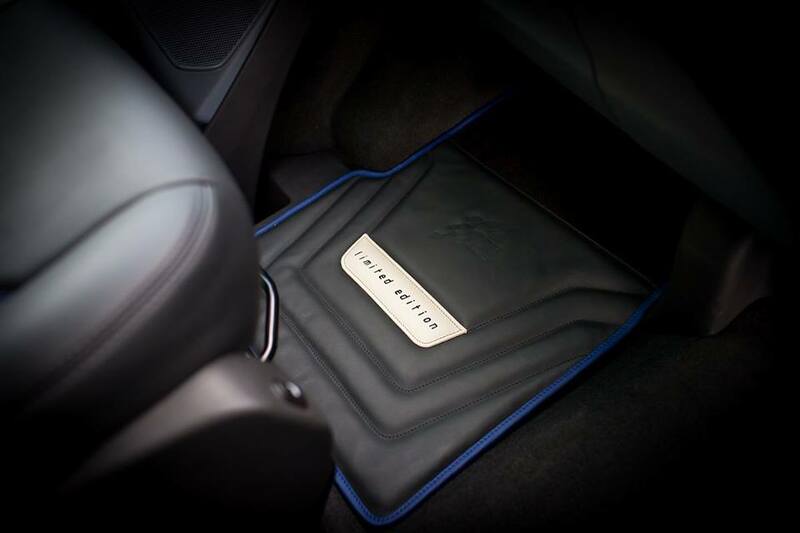 Isn’t that just better? 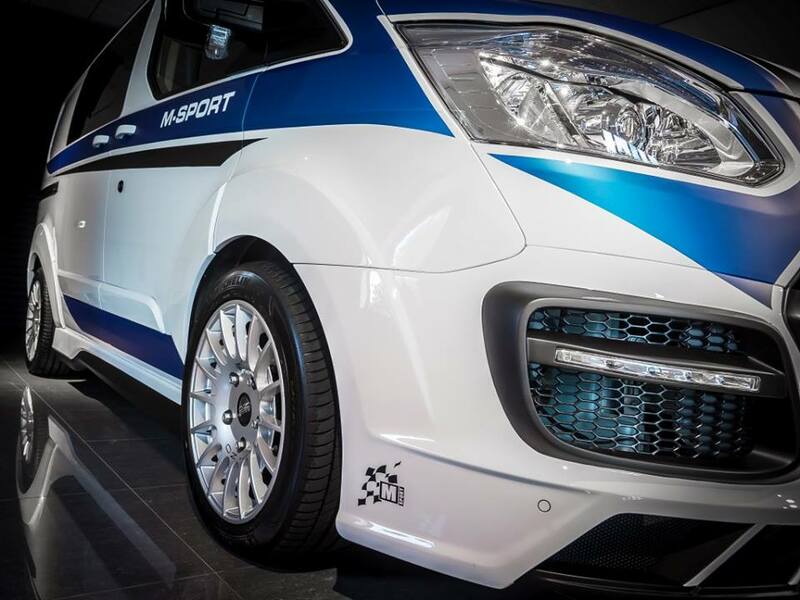 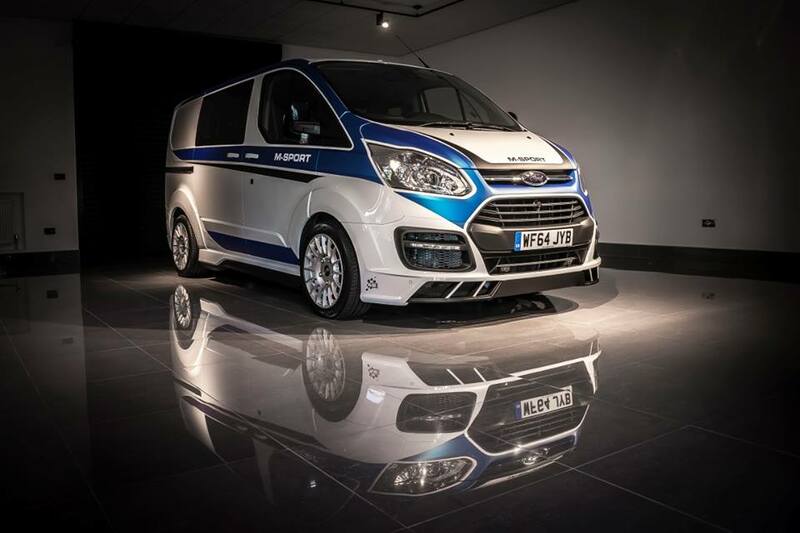 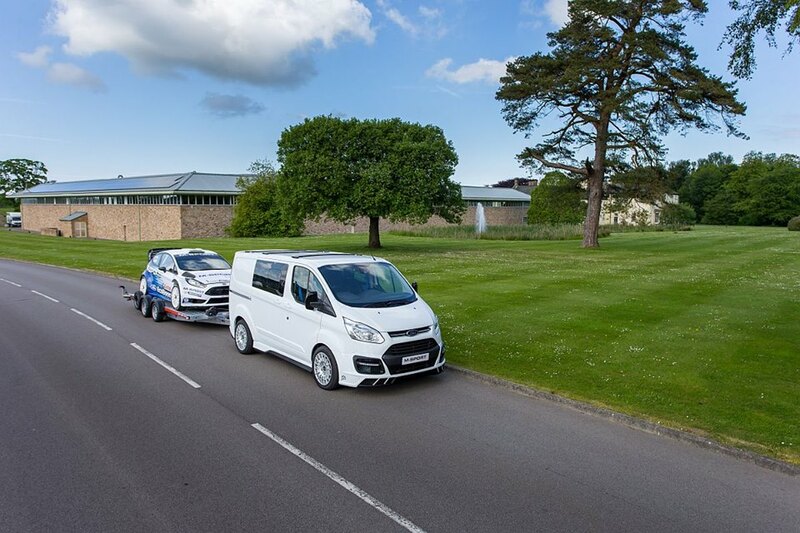 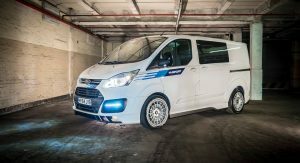 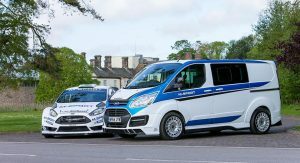 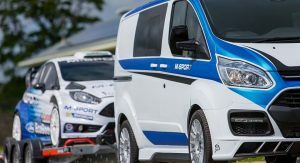 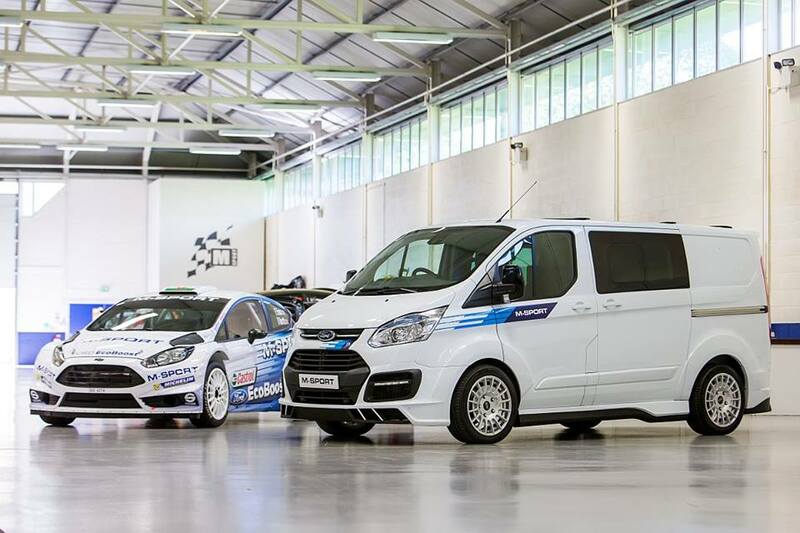 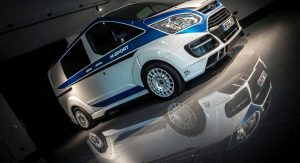 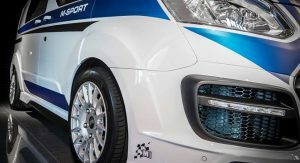 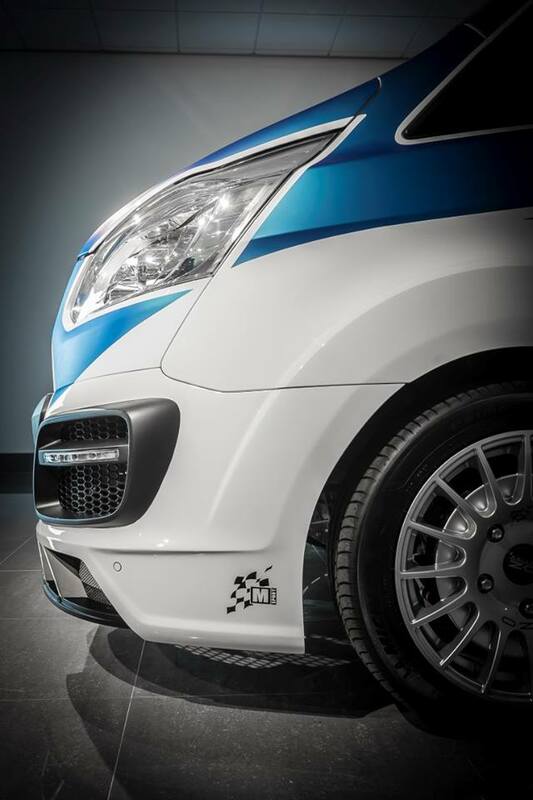 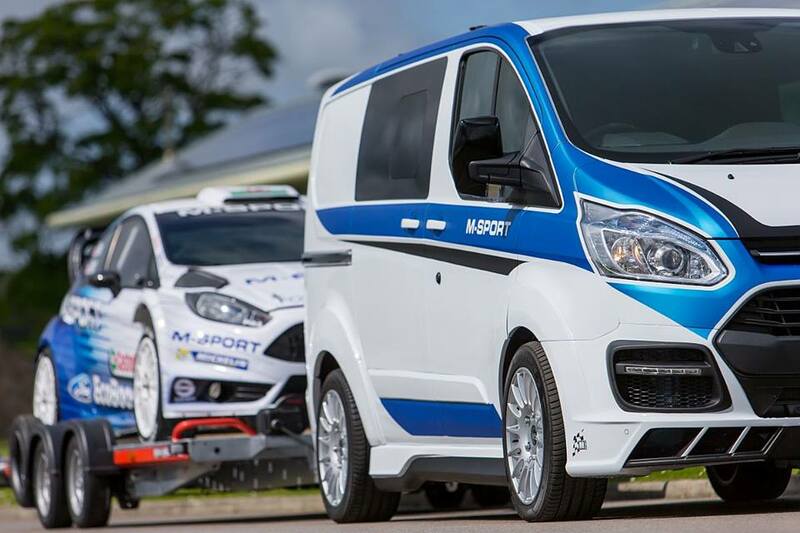 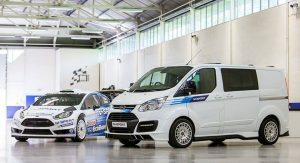 The van was developed by U.K – based company Van Sport (yes, it’s a thing), in collaboration with the WRC rally team M-Sport. 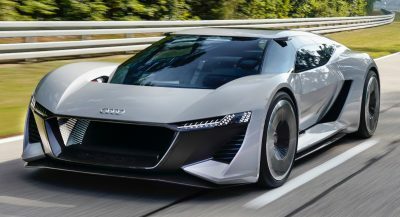 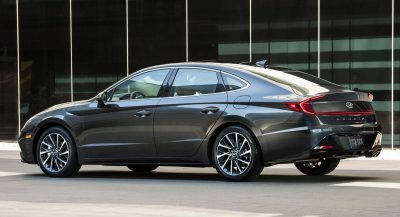 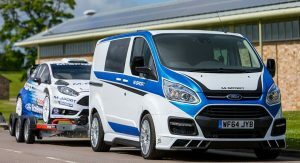 Unfortunately, it doesn’t come with a boosted 1.6-litre WRC spec engine to match its outstanding looks and wide body-kit, but that doesn’t make it less impressive. 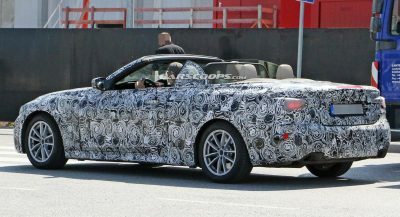 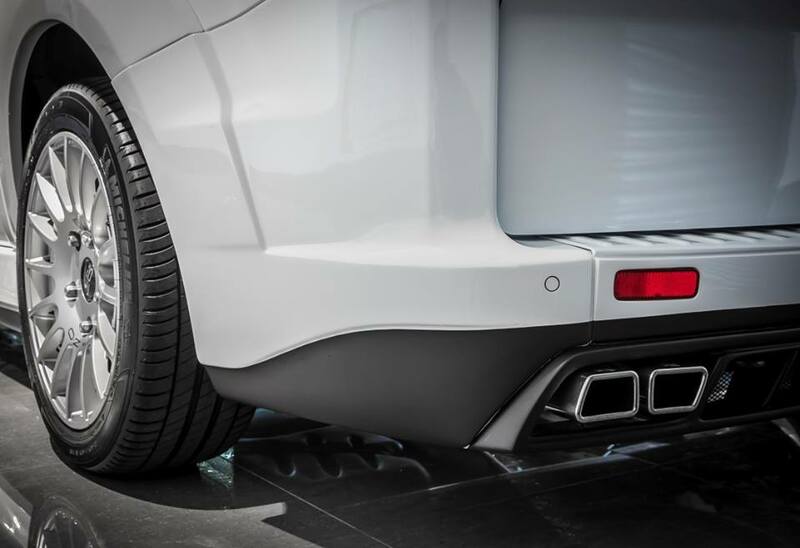 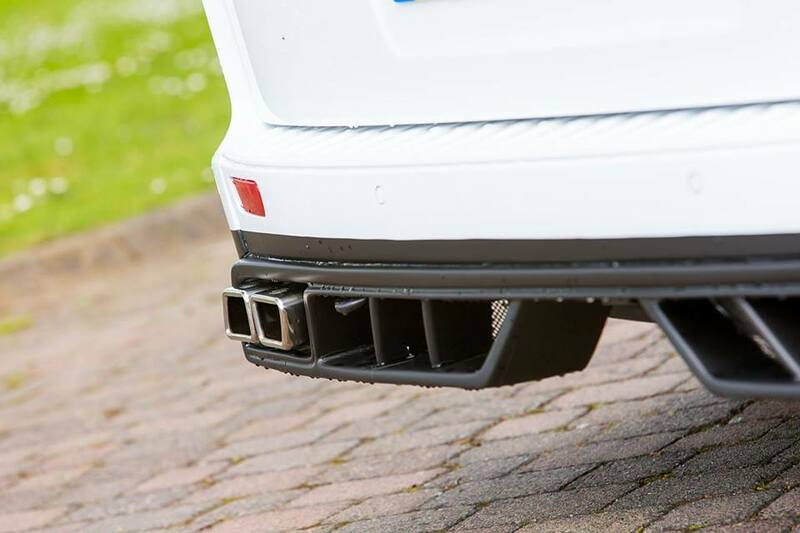 It even has a new exhaust system with quad tailpipes, which we hope it means business. 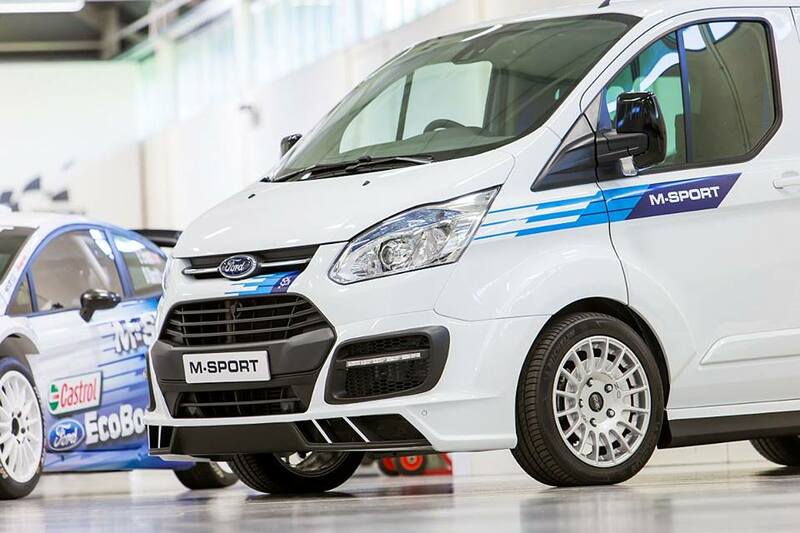 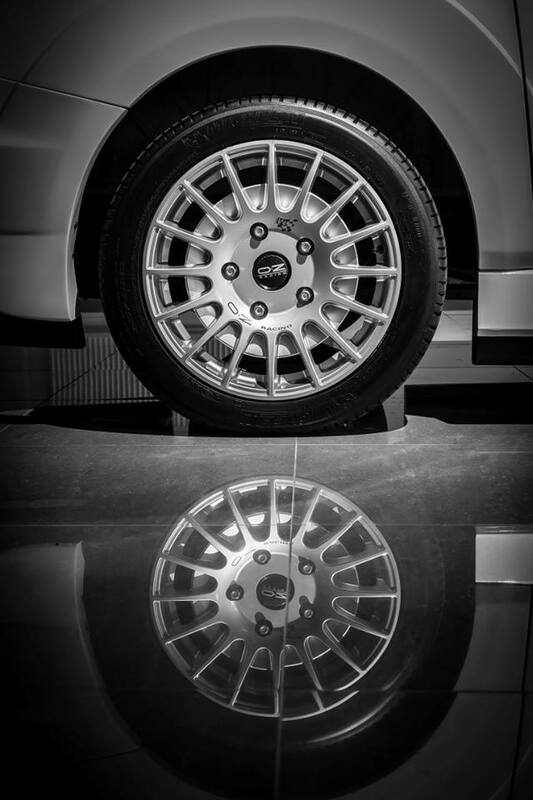 The Transit rolls on a set of OZ racing wheels – iconic in the rally world, and sits a little closer to the ground thanks to an Eibach lowered suspension. 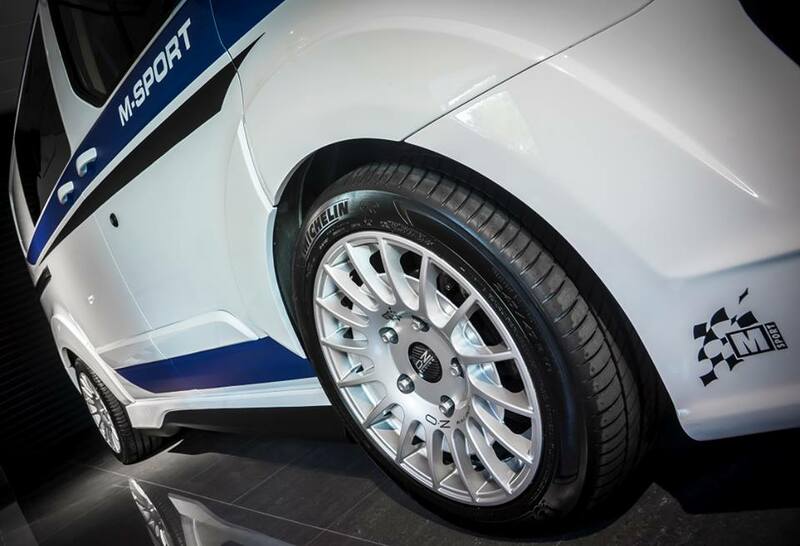 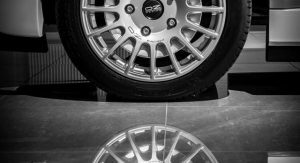 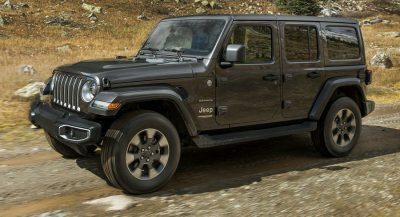 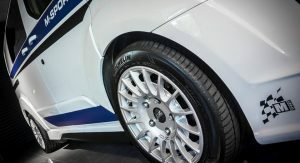 The wheel combo is wrapped in 18-inch tires. 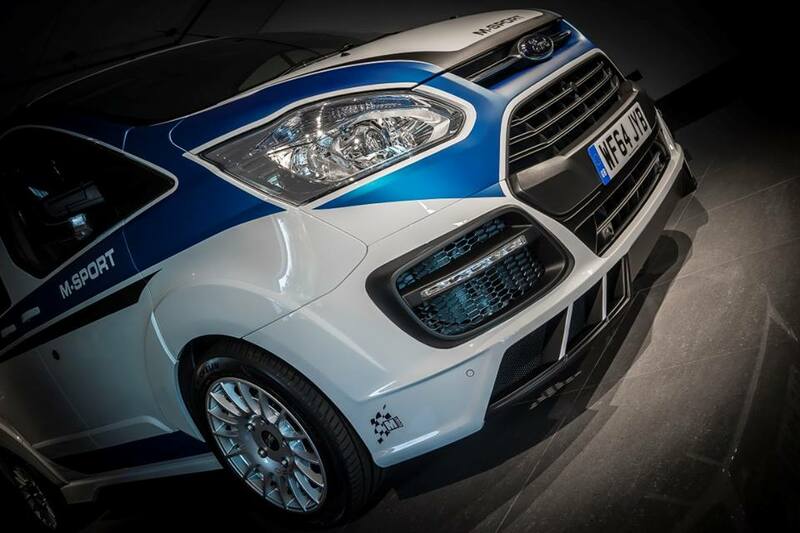 Its aggressive, wider stance, alongside the custom M-Sport livery, makes it seem like the much bigger, badder brother of the little Fiesta. 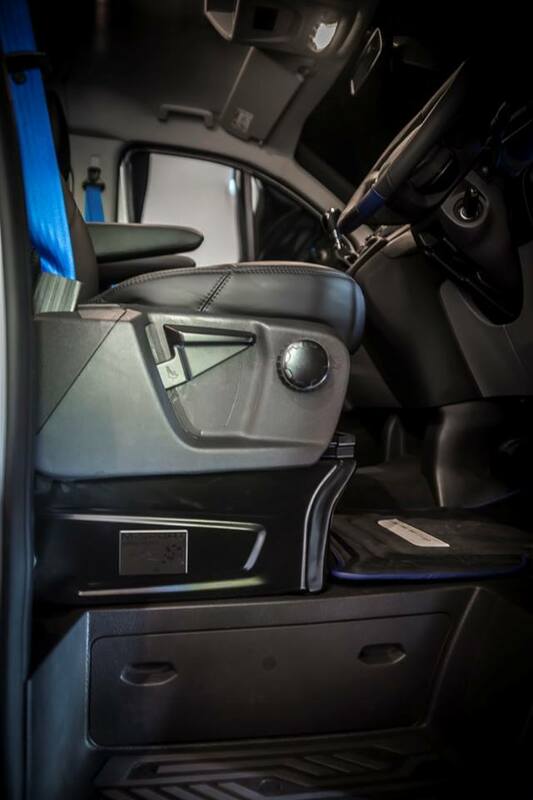 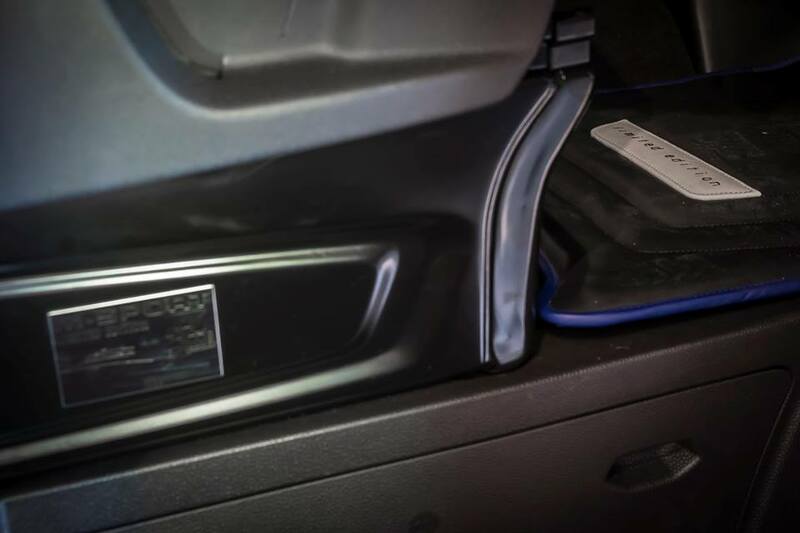 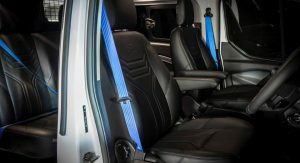 Usually, a van’s interior isn’t really the place to be, but this particular Transit makes an exception. 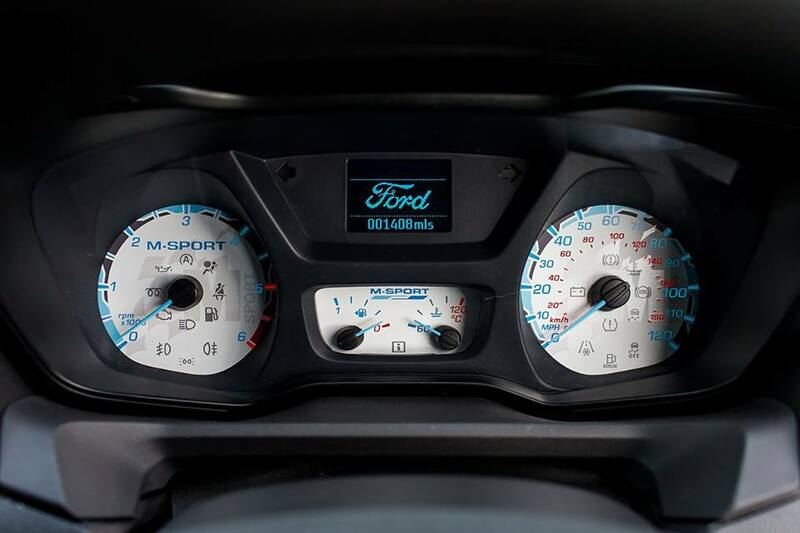 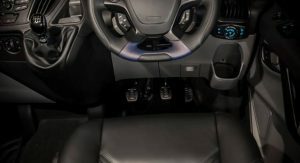 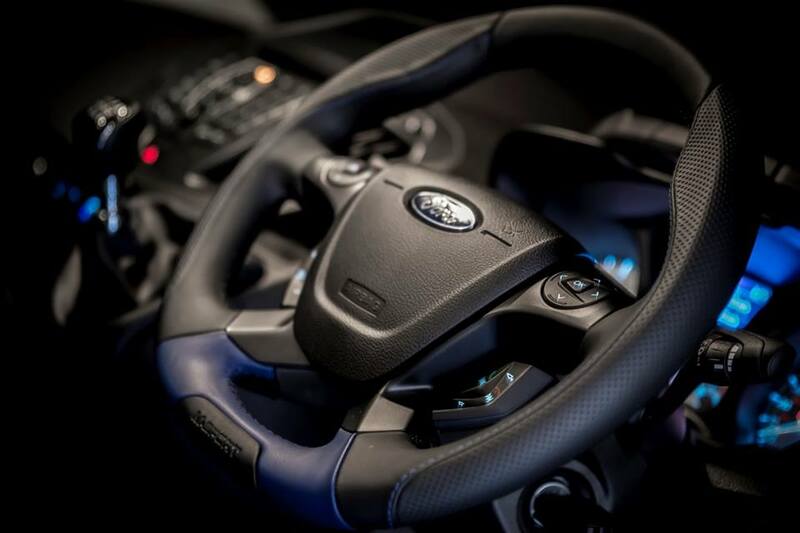 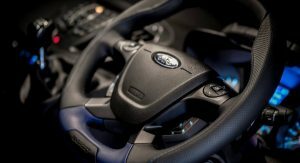 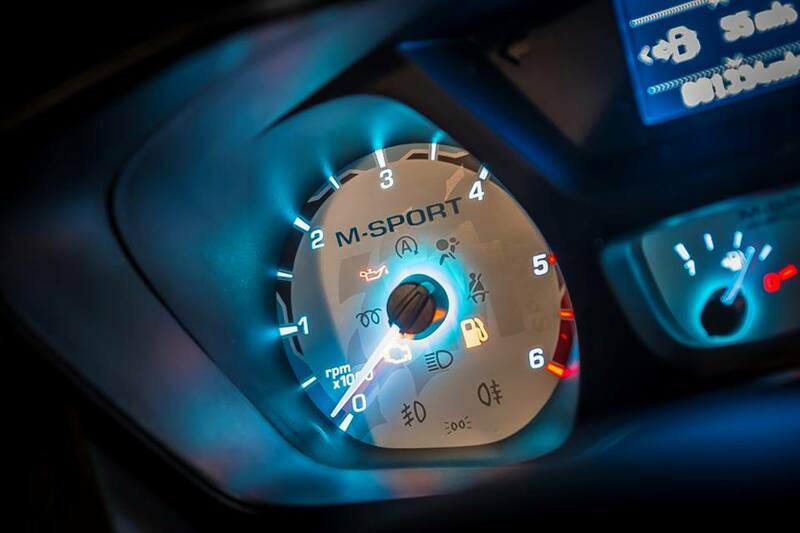 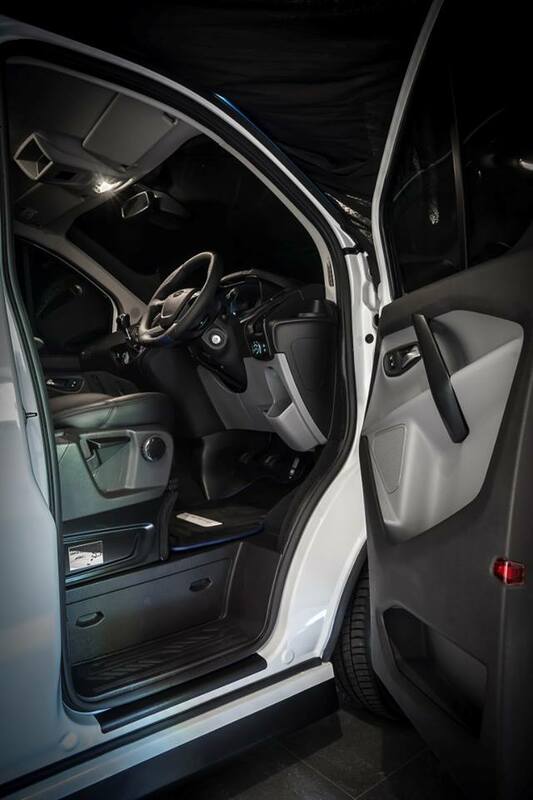 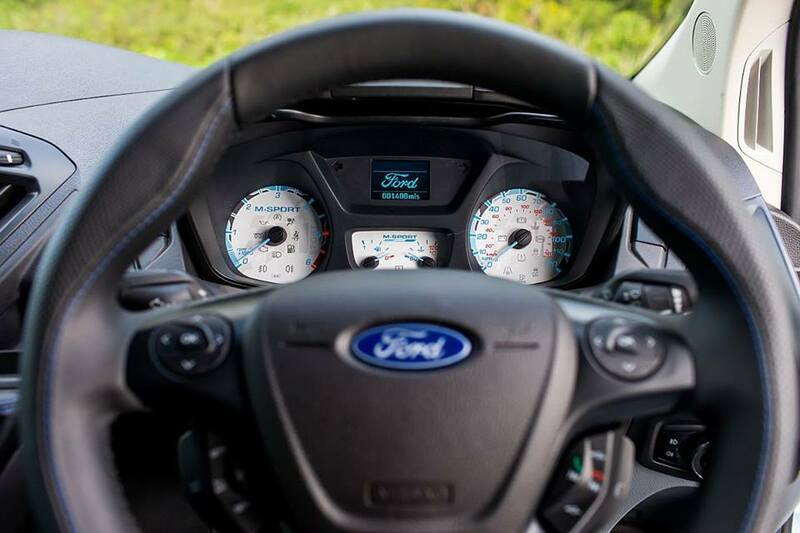 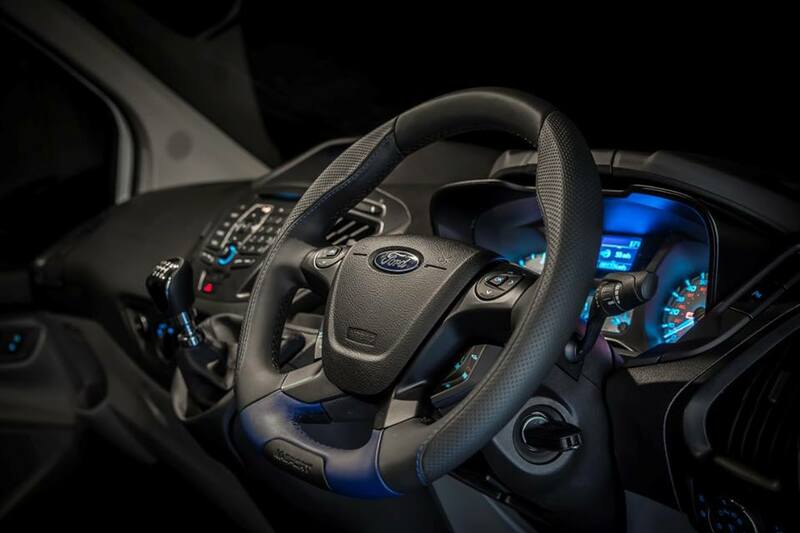 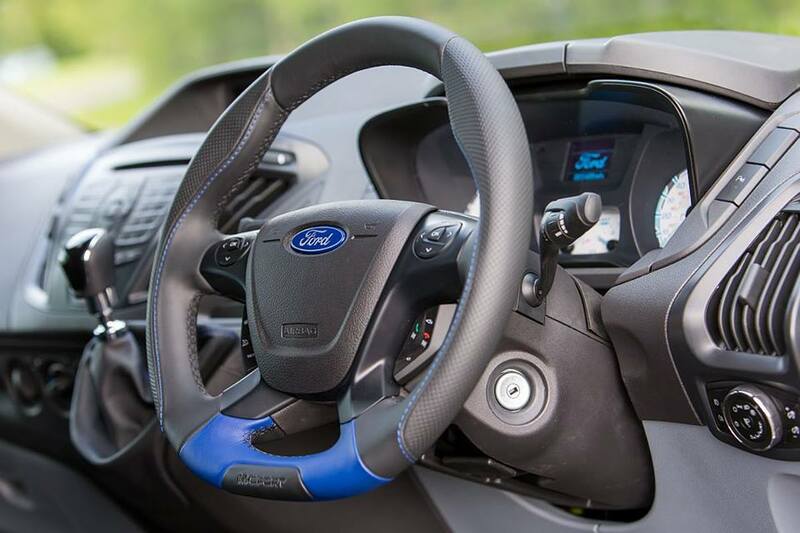 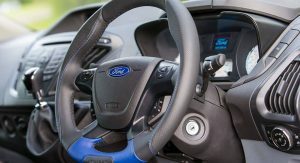 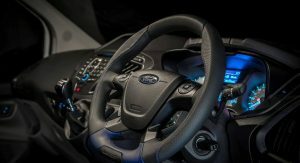 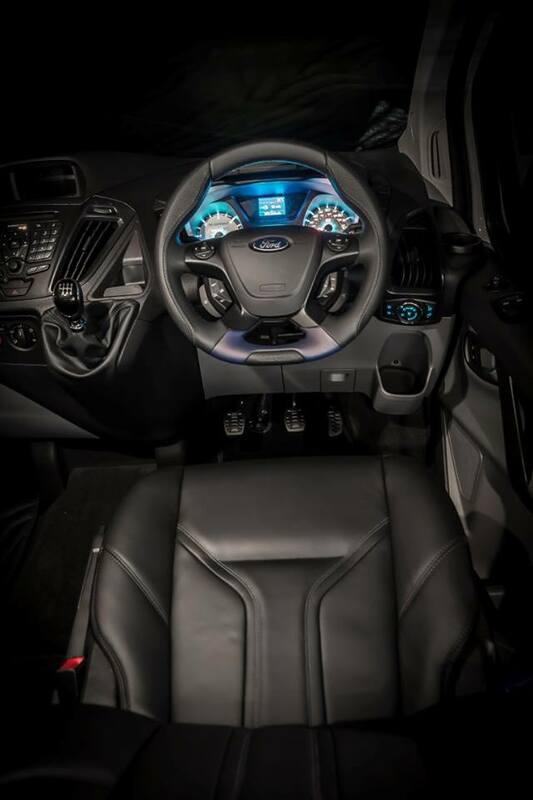 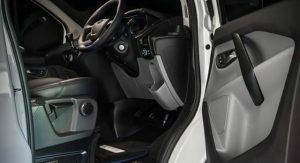 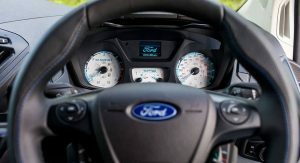 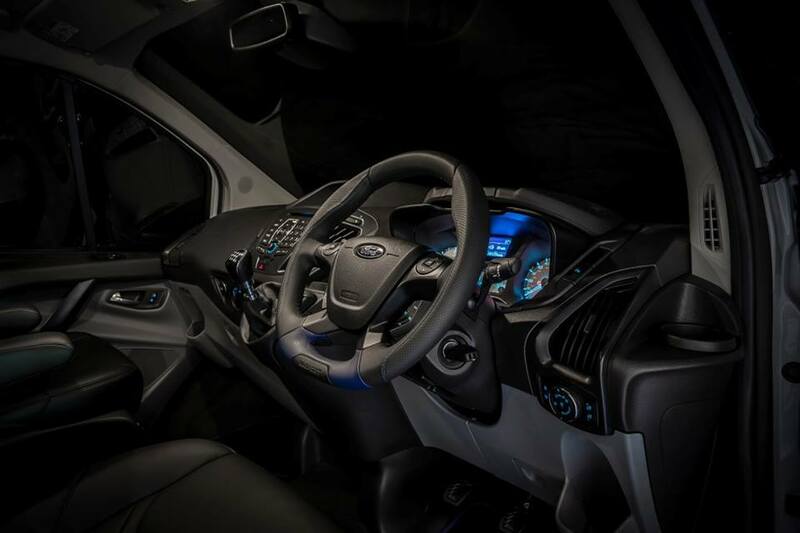 A custom, remodeled steering wheel, M-Sport branded dials and leather seats make it stand out from the crowd. 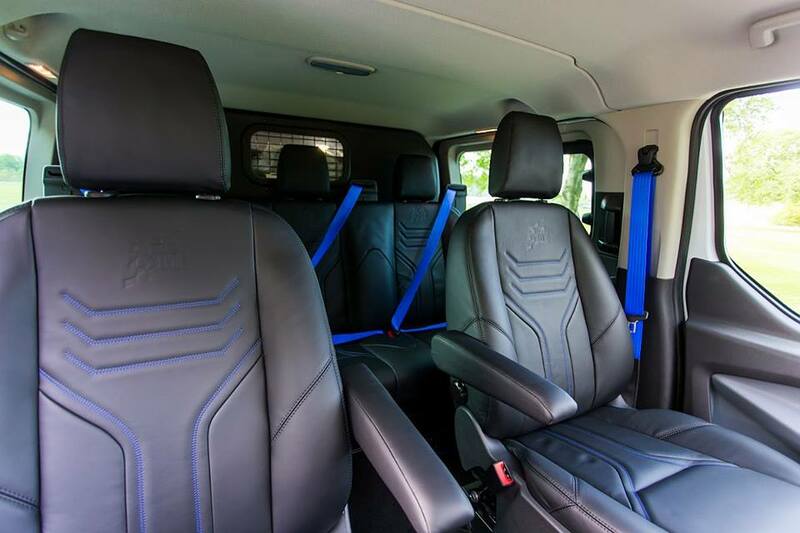 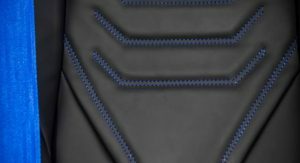 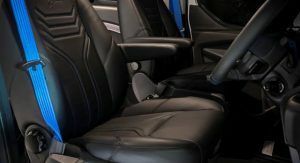 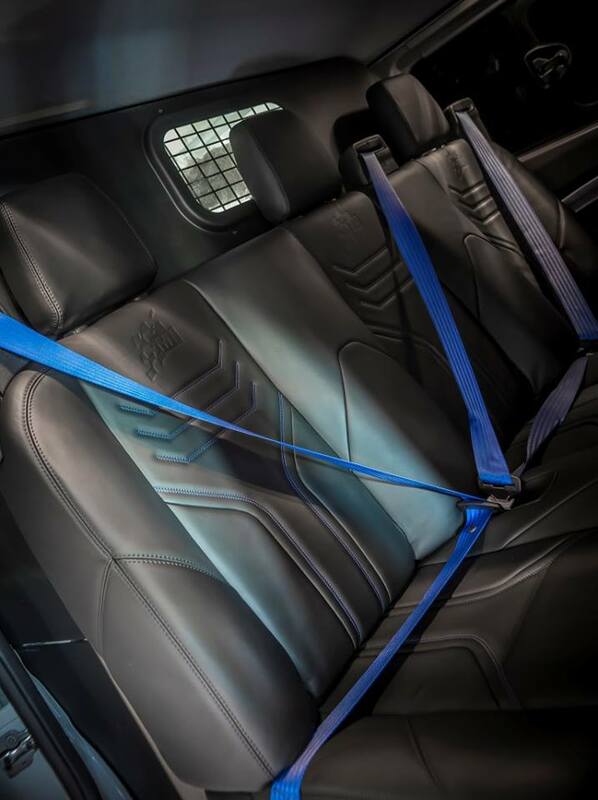 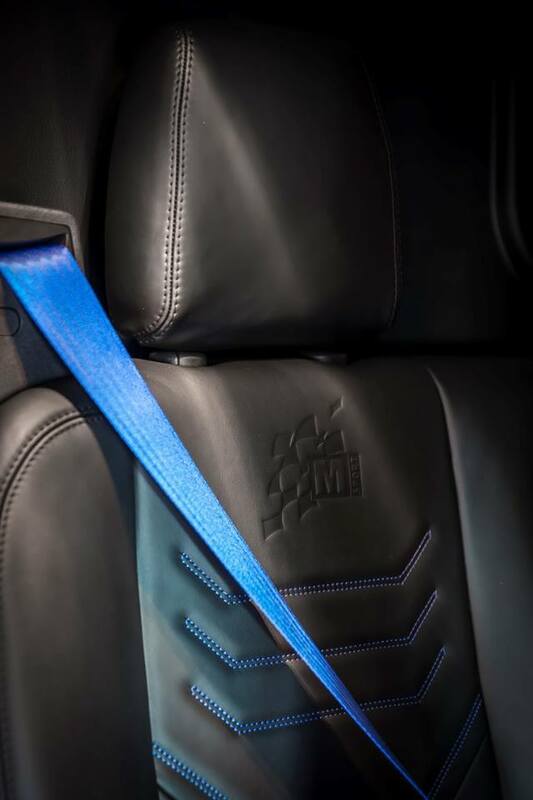 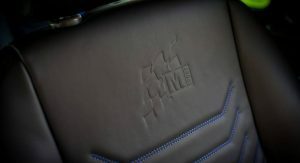 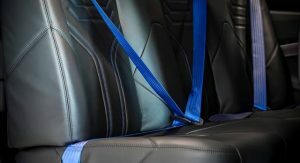 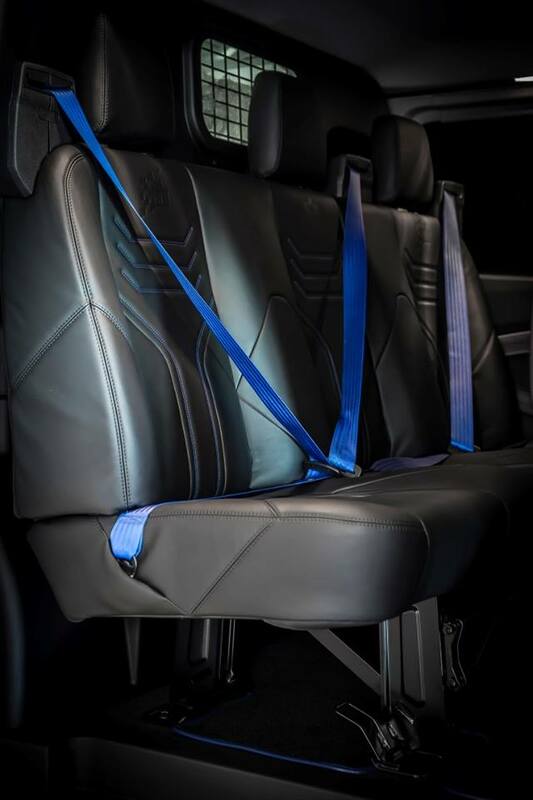 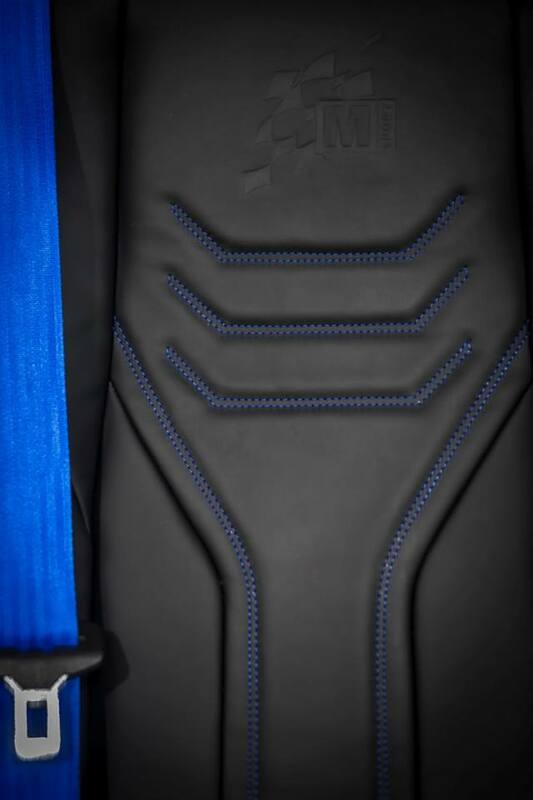 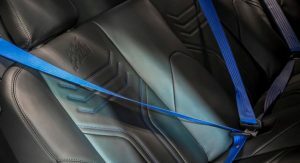 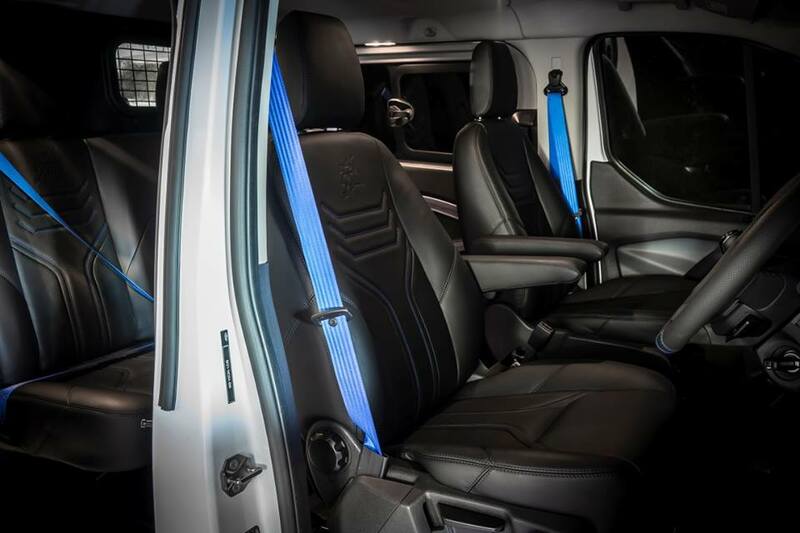 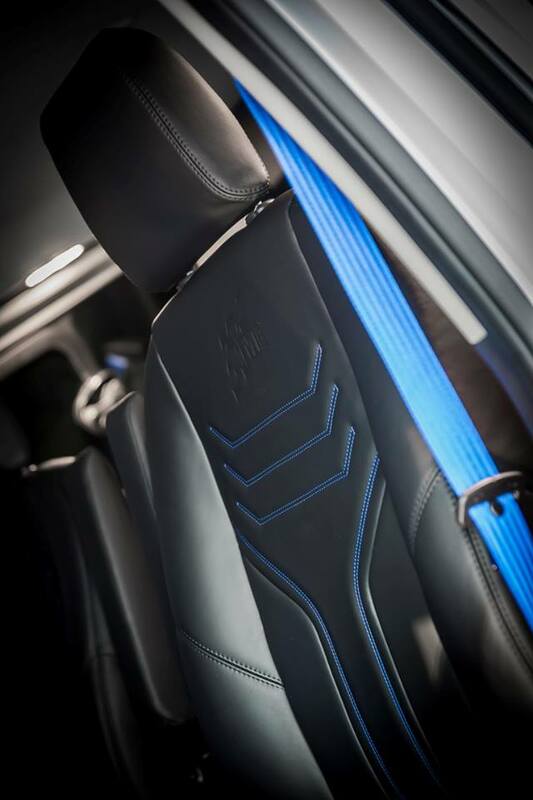 The blue seat-belts are an awesome finishing touch, as well. 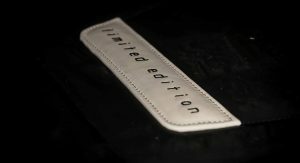 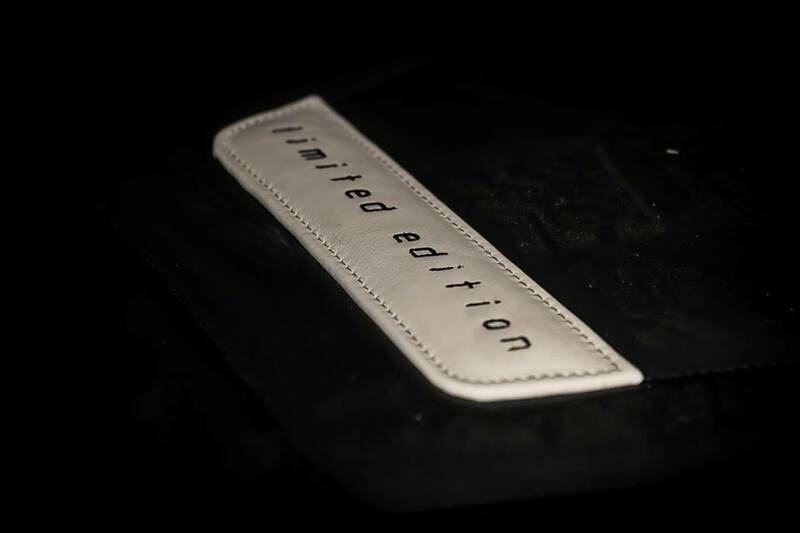 Similar units or custom packages will be available to the public, although the price isn’t known yet. 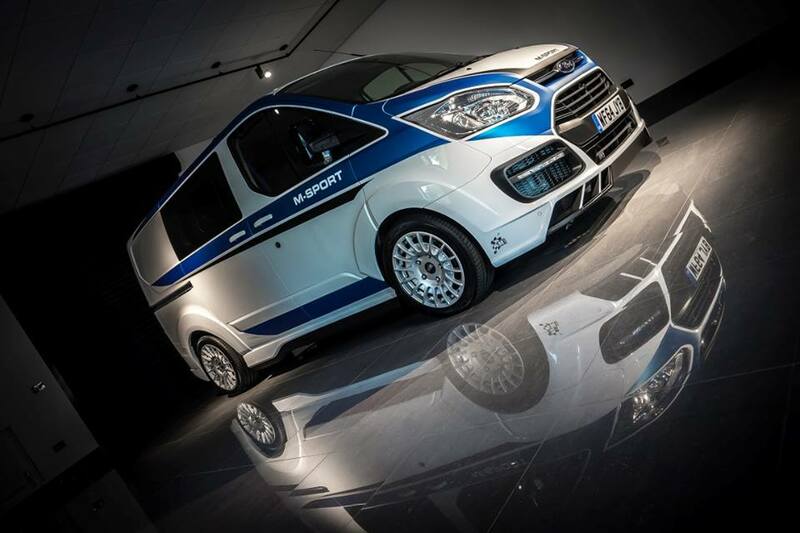 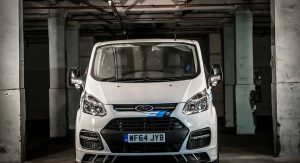 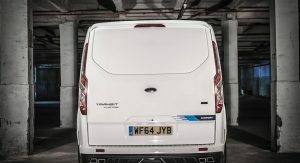 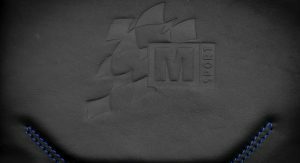 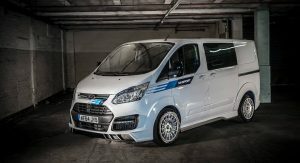 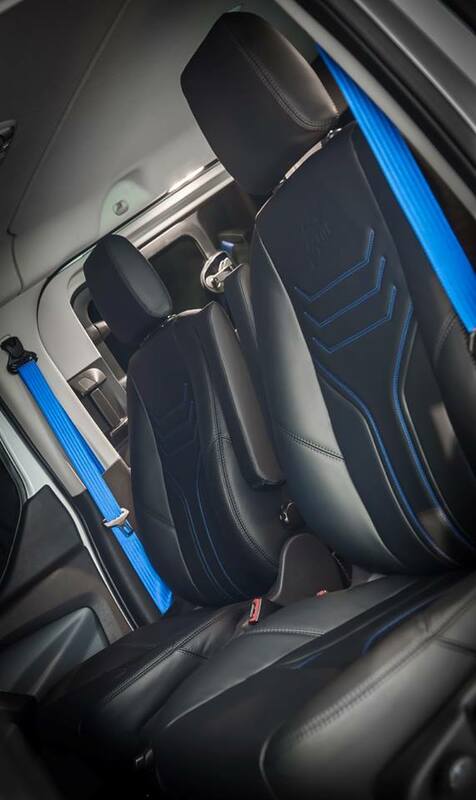 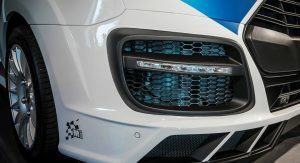 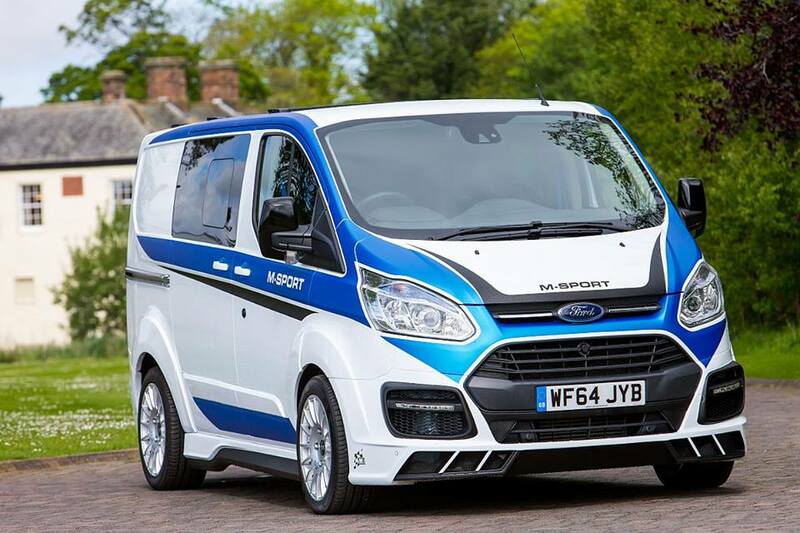 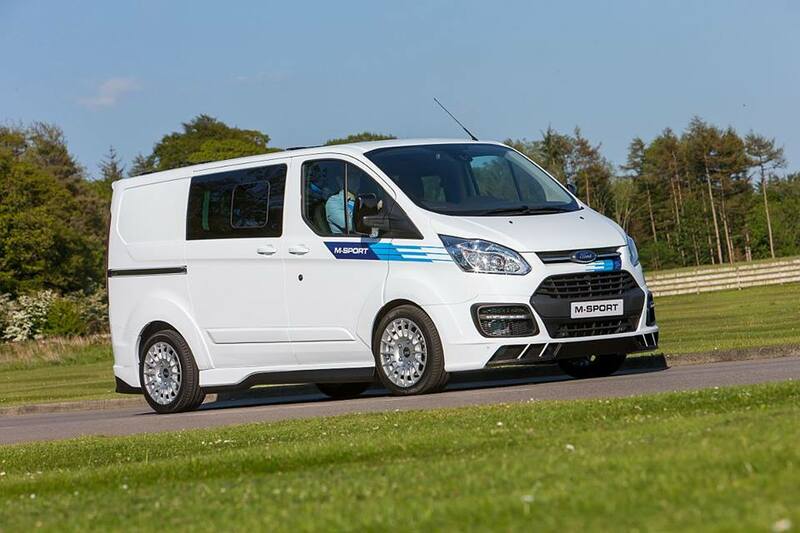 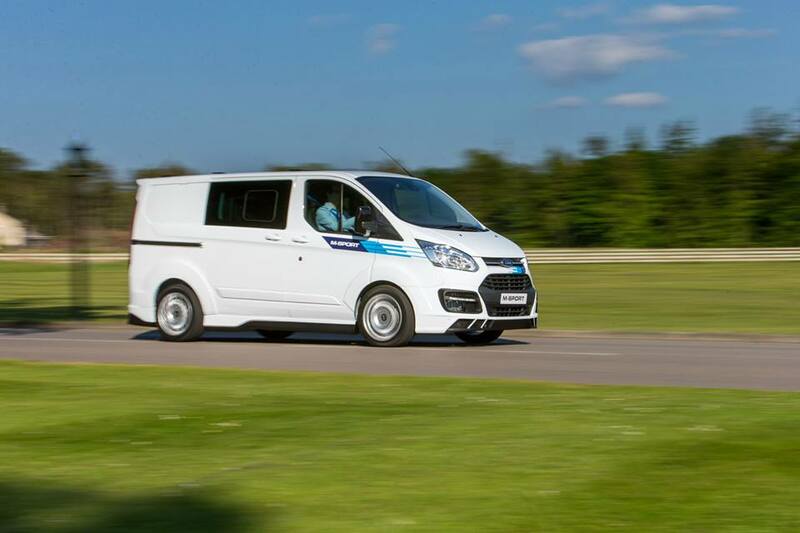 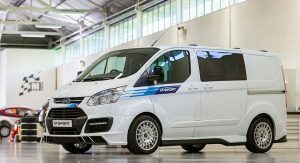 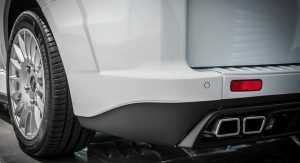 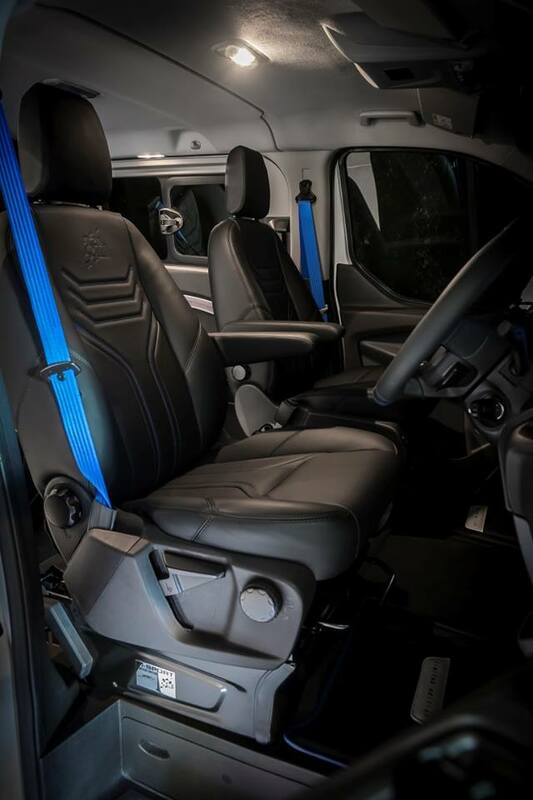 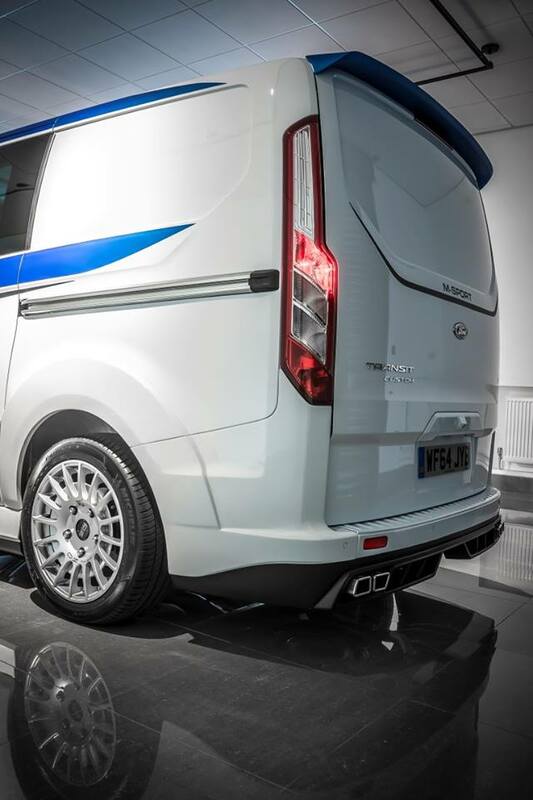 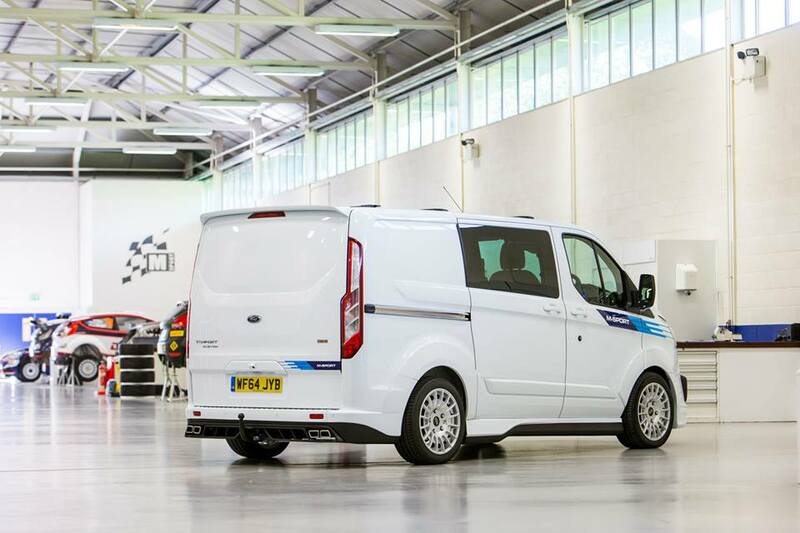 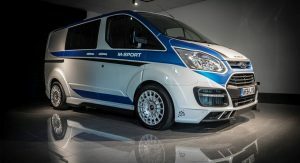 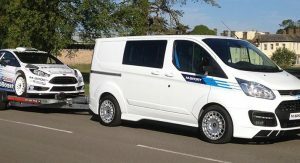 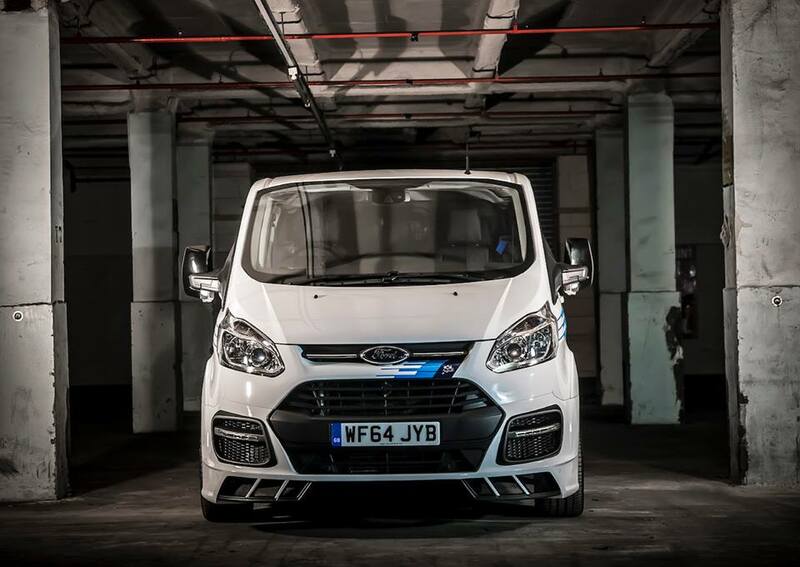 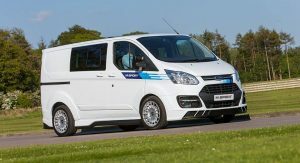 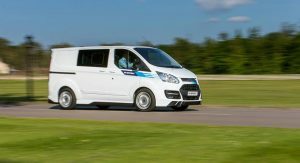 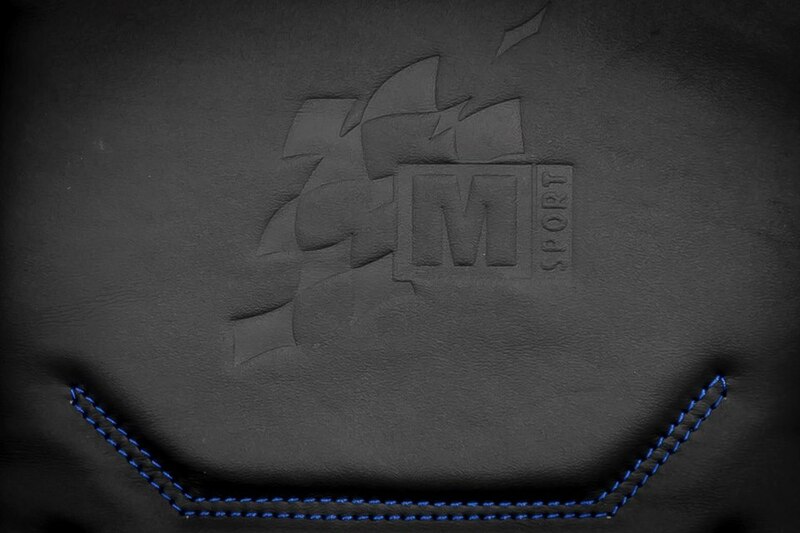 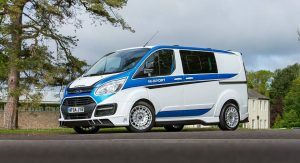 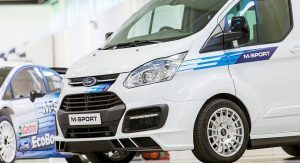 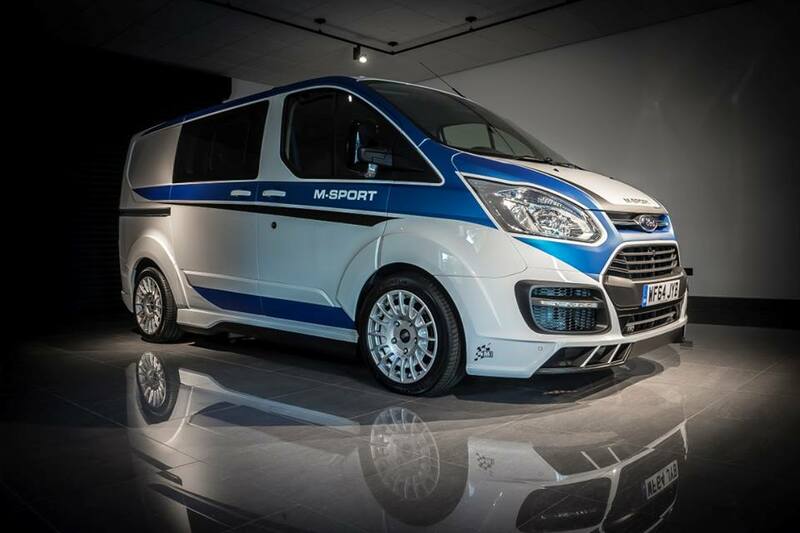 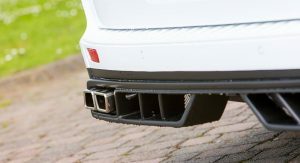 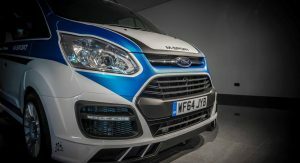 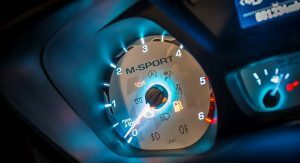 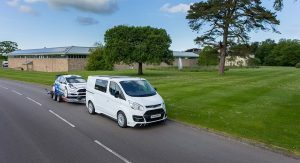 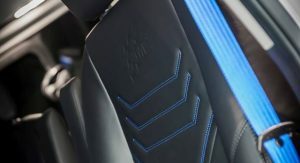 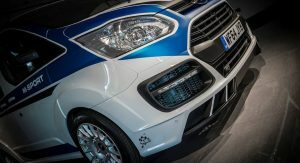 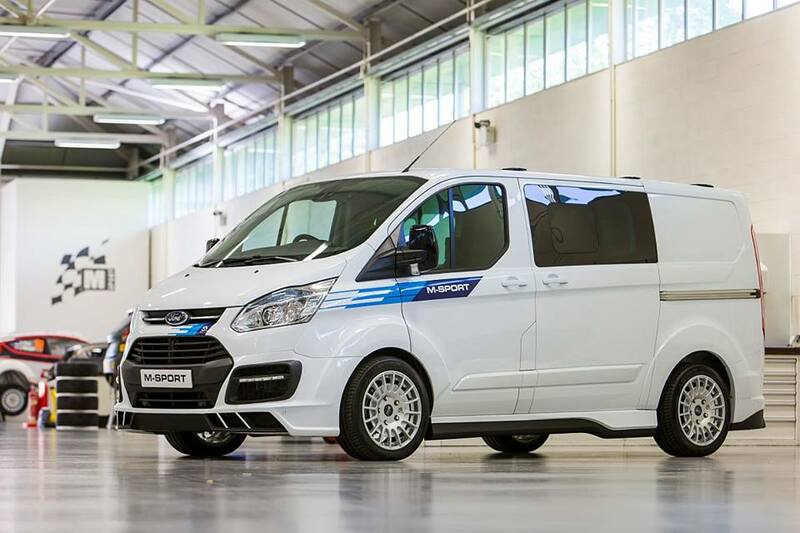 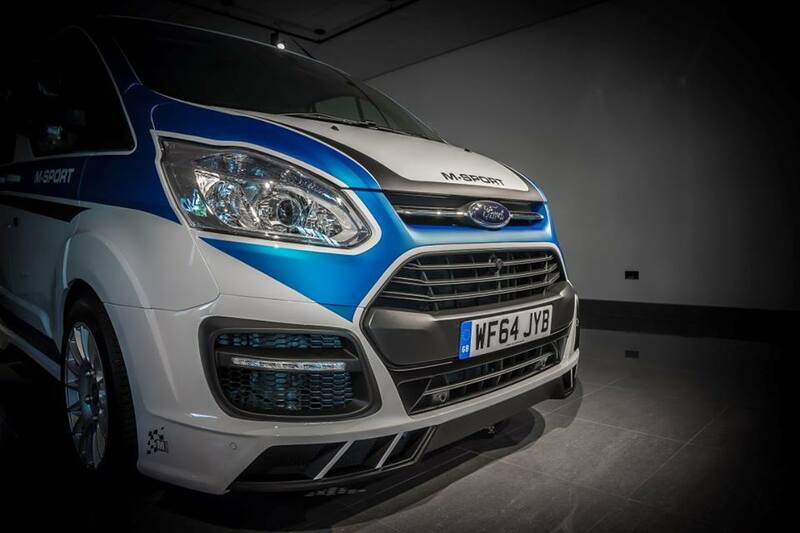 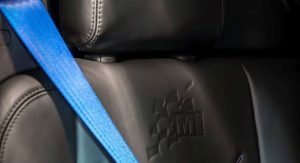 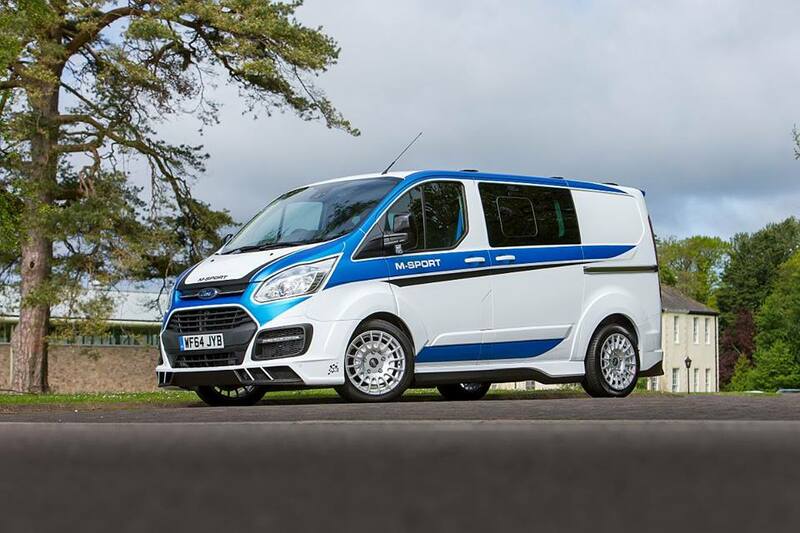 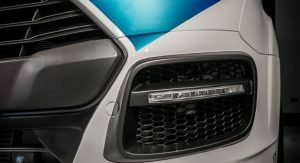 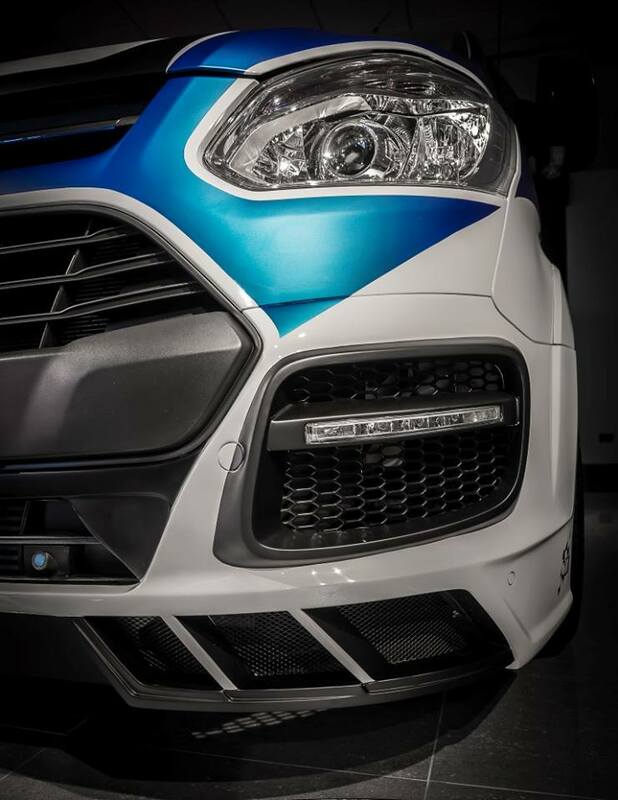 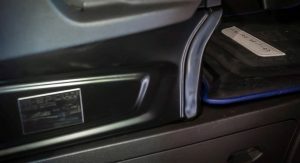 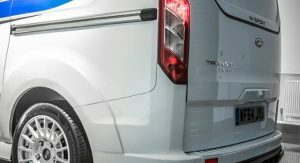 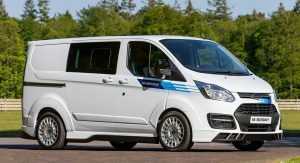 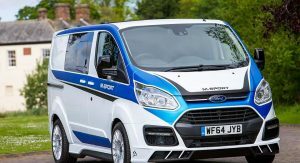 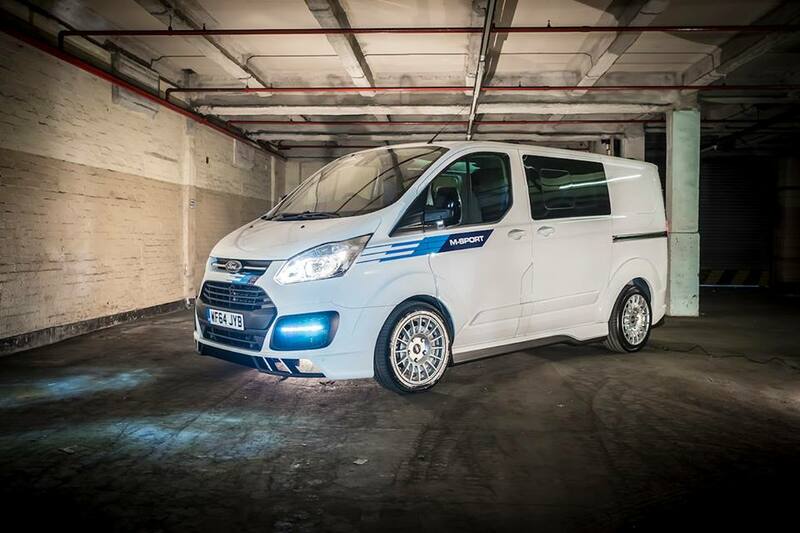 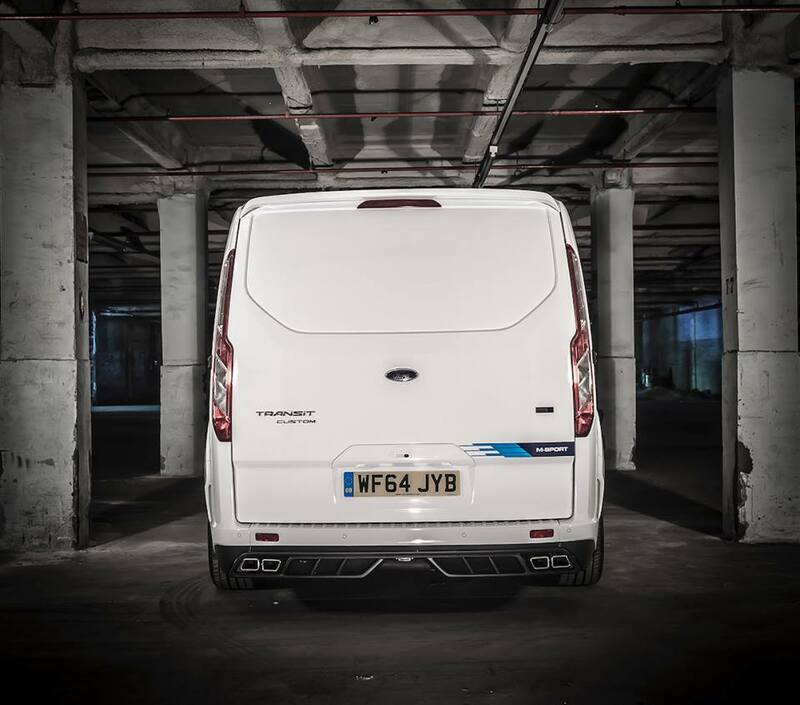 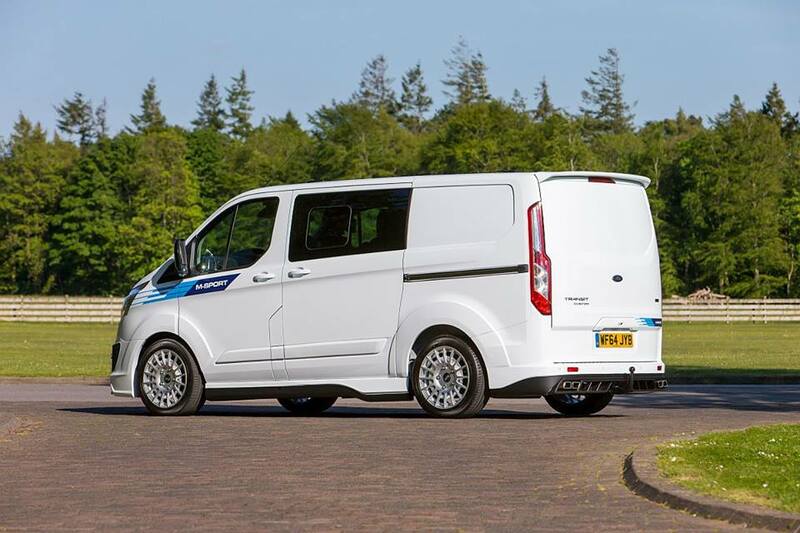 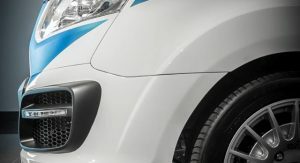 A unique number plate will identify the limited production status of each vehicle, while an exclusive range of M-Sport branding options will allow the buyer to customize the Transit according with its own bespoke preferences. 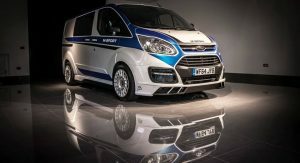 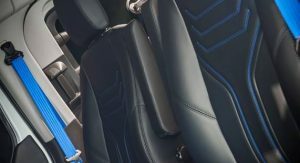 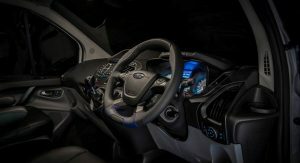 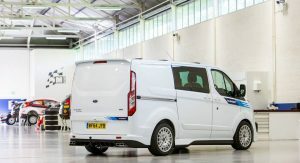 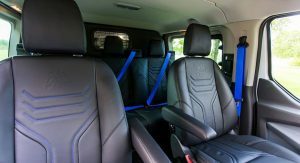 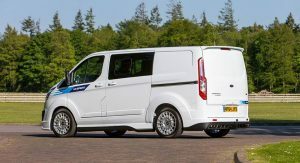 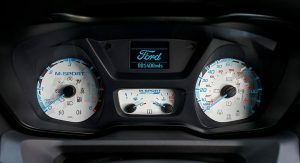 The development of the van coincided with the 50th anniversary of Ford’s iconic Transit model and it’s quite a present. 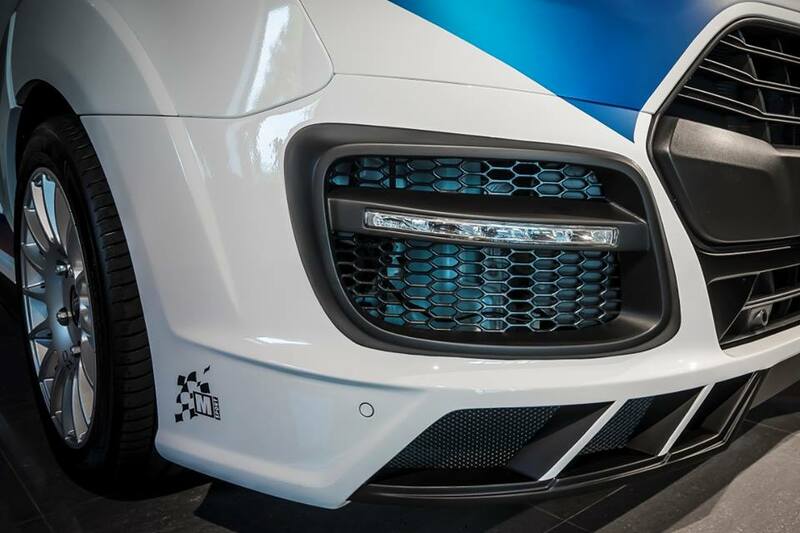 I like the look of the one with more solid blue in the scheme, but personally, I would get rid of the white surrounds of the head lights and above the lower grille and make the blue cover all that. 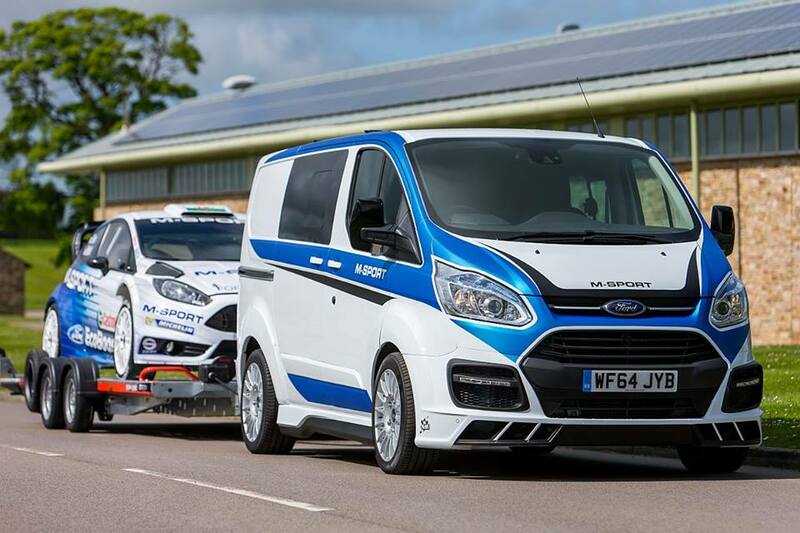 Sure, as said above, it’s a show pony, but it looks the part at least with the Fiesta towed along behind it!